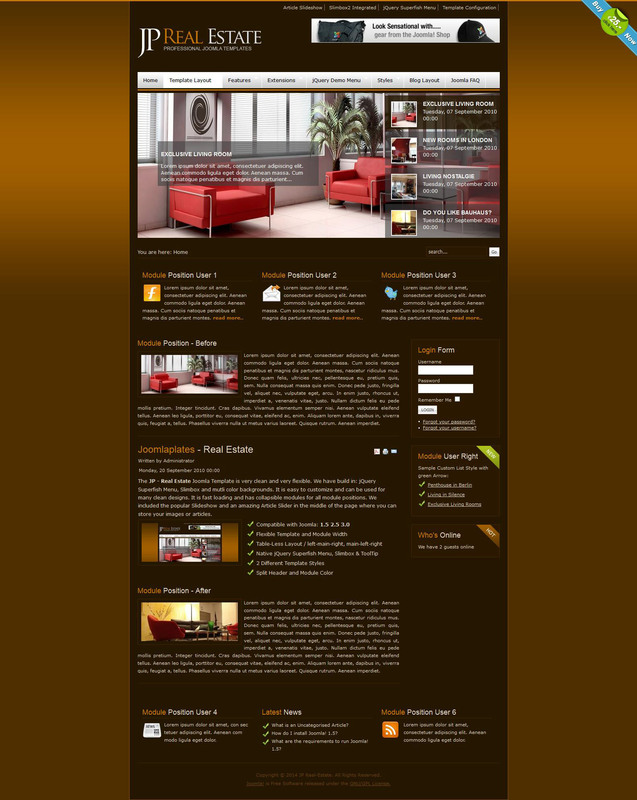 JP Real Estate - fresh template from the famous studio Joomlaplates, released in September 2010. This template contains an elegant, subtle and conservative design, soft colors and shapes that can convey the maximum content of the site users. The template has a good optimization, allowing your site will load in a fraction of a second. JP Real Estate also displayed correctly in all modern browsers and mobile devices. JP Real Estate is designed for sites that are running Joomla 2.5.